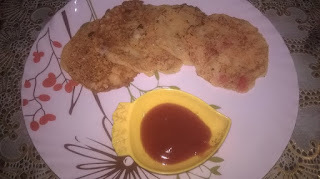 Suji potato pan cake is very simple, quick and easy recipe, which can be made at any time. Take mashed potatoes in a bowl, add water, sooji, salt and mix well. Add in carrots, chilli, coriander leaves and onions. Mix well. Set this batter aside for 10 mins. Heat oil or ghee in a non stick pan and make mini pancakes. Cook for few minutes on one side. Flip over and cook on other side. Once they are cooked both the sides take them in a plate. Serve hot with ketchup or any type of green chutney. Kurkuri Bhindi (lady finger) is a delicious and easy to make. 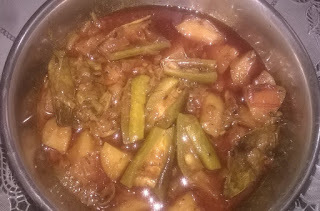 Kurkuri bhindi (lady finger) issome spicy,and very delicious. The bhindi (okra) is marinated in spices, coated with flour, and then deep fried for a golden brown crunch. Kurkuri bhindi especially serve with chapatti or triangle paratha. 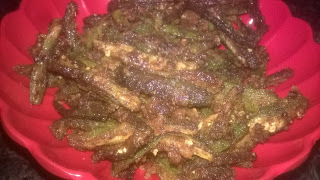 Kurkuri bhindi can also be served as a snack.